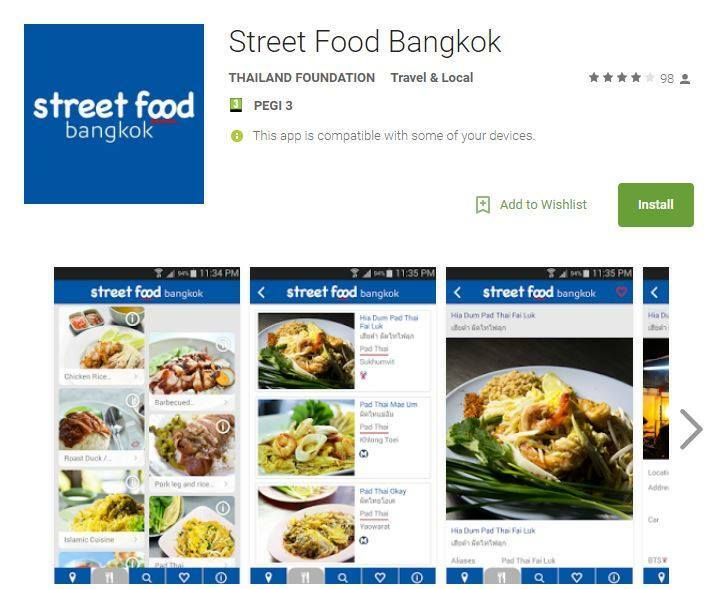 The Bangkok Street Food App now available for download on IOS and Android systems, includes information on street food from 120 shops and stalls, covering 25 types of dishes that are easily available, delicious, and locally famous. The app is linked with Google map, which will give clear directions and distances from the users’ location to the desired destination. Addresses of shops and stalls are available in Thai for the users’ convenience if they choose to travel via taxis or other modes of public transport.